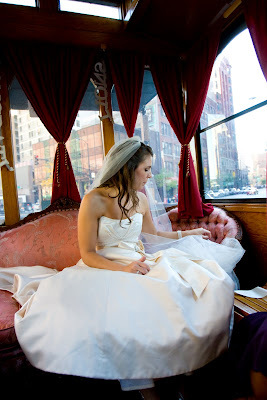 Dina hired me about about a year before her wedding. Her fiance, Derek, came to the consultation as well. I could tell that the both of them cared deeply about every wedding decision. Dina mentioned that she had experience is design. I had no idea how talented she was! Her DIY projects are some of the best work I have ever seen. 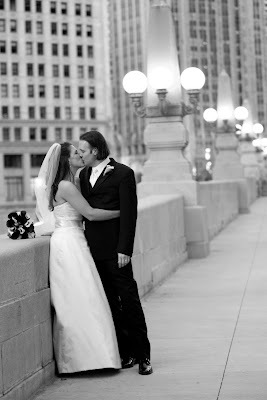 Dennis Lee, the couple's photographer, also featured the couple on his blog. Dina was done with hair and make-up. She hung her dress above the bed, which made for a gorgeous photo. When Dennis arrived, Dina was just hanging out in the room with me. There was no entourage. He looked around, a bit incredulous. 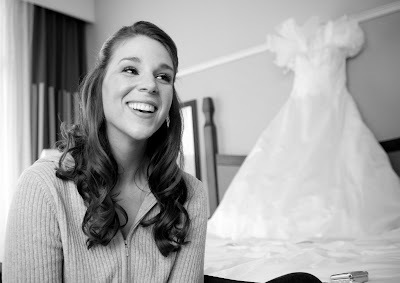 Dina was the epitome of a relaxed and low-key bride. 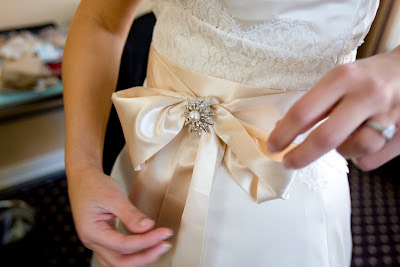 Dina embellished her dress with a brooch inside the bow on her sash. I loved this look. Dina inside the trolley. Most trolleys don't offer such comfortable and photographic seating. 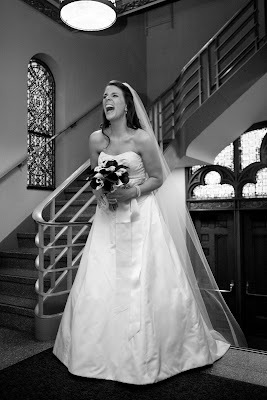 There was no need to calm down this bride. 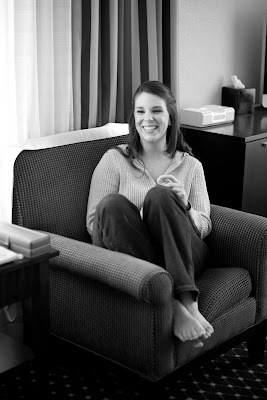 Right before she is to walk down the aisle, she breaks into laughter. 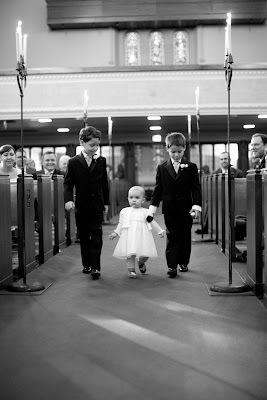 I am often asked the appropriate age of a Flower Girl or Ring Bearer. 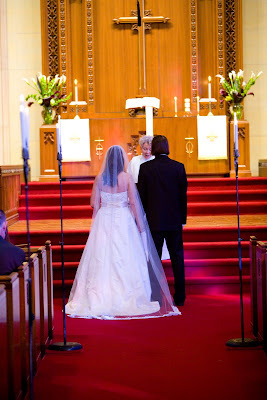 At 14 months, she made it down the aisle like a Professional without any tears or drama! 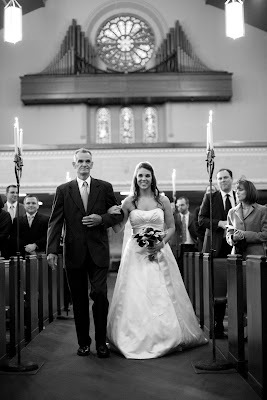 Dina is escorted down the aisle by her Father. The couple stand before their family and friends. The First Kiss, while they are holding hands. The couple are greeted by guests blowing bubbles. 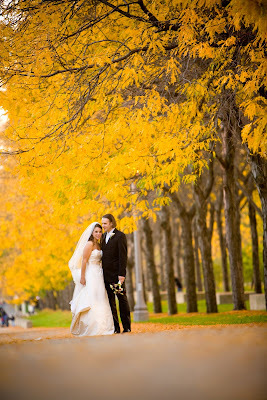 This is why October is the most popular month to get married in Chicago. The photos look amazing! 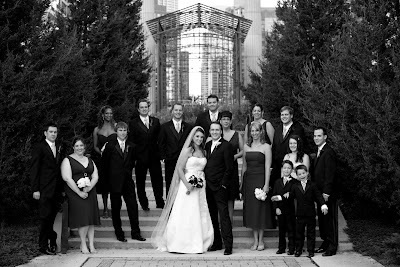 It's nice to have a Bridal Party portrait where everyone isn't lined up in a row. Fall is my least favorite season but this picture is gorgeous. 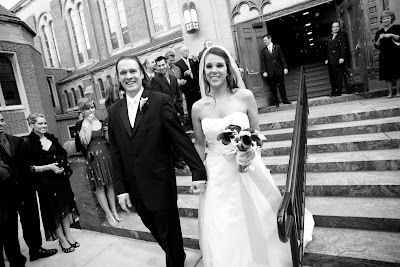 It's a great idea to drop off your Bridal Party and take a few photos with just the two of you. 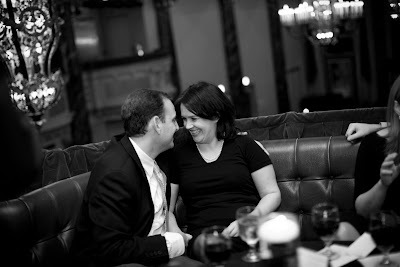 When the couple headed to Art Institute, the party was already in full swing. 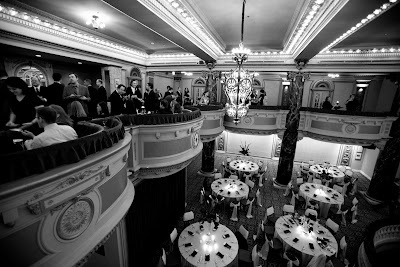 I think the banquettes in the balcony are lovely. 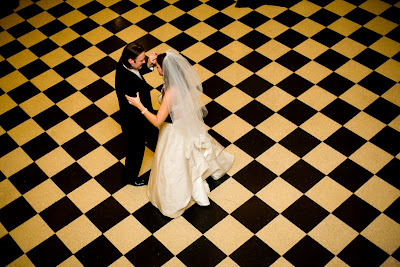 Nothing beats a first dance than on a classic black and white dance floor. 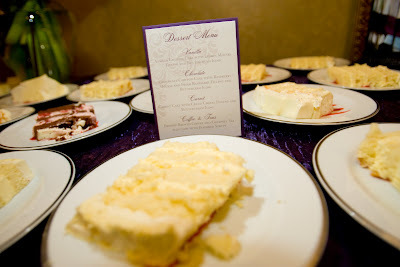 The couple opted to have a coffee and dessert station so that guests could choose the type of cake. The menu is one of the many DIY projects by Dina. Check back tomorrow for photos of the details!